24 February, 2016 – LONDON – Lumeon, a digital health company focused on Care Pathway Management, today released the results of an independent survey which showed the differences between patients and providers on what makes a good healthcare experience. 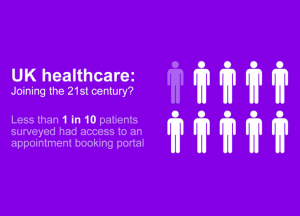 The survey, which interviewed 100 U.S. providers ranging from public hospitals to clinical health providers and family practitioners, and 500 U.S. outpatients, revealed that despite having automated technology, providers need to do more to create an exceptional patient experience, particularly at the referral and follow-up stages. 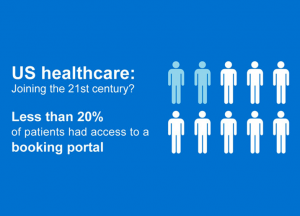 In an increasingly competitive healthcare market, the need to provide a patient-centric service is widely recognized. The benefits that digital technology has brought to other industries has increased patient expectations of healthcare, particularly when it comes to levels of personalization and responsiveness. Patients today expect more than just good treatment. According to the results, patients rated a responsive and well organized service (75 percent) and interest and care about patient’s welfare (64 percent) higher than effectiveness of treatment (61 percent) in determining what makes a good experience. Additionally, patients want to feel supported throughout their treatment. Nearly half of patients said that a lack of follow-up and empathy over patient welfare were the biggest reasons for experiencing a negative treatment experience (46 percent and 40 percent, respectively). Furthermore, 23 percent believe the level of follow-up care is the single biggest area which requires improvement during the treatment process. Like patients, providers understand the role that technology plays in delivering an effective patient experience, but 81 percent admit that more can be done at the end of the patient journey. More than half (54 percent) of providers said they have tools in place to manage the patient journey, which are both automated and integrated at a systems level. Despite this, providers note they have experienced problems aligning resources to patient needs, contacting patients at short notices, and transferring patient data between locations or departments. These challenges continue to undermine the services offered to patients. Regardless of the level of healthcare quality, providers can’t offer an exceptional treatment experience if patient information is disparate and siloed. Nearly 70 percent believe their organization could treat people quicker and more effectively with better patient data consolidation and coordination. To download the full report with survey results visit http://bit.ly/2addJ4L.